Sony is looking to make a smash-it out of the Xperia Z4, but the upcoming handset has already been bad-mouthed before its global release, by none other than secret agent James Bond. Well, when we say James Bond we mean actor Daniel Craig. It was revealed from corporate emails leaked during the Sony Pictures hack last year that the Xperia Z4 was going to feature in the latest 007 film, Spectre. However, that product placement deal might now be on the ropes. Wikileaks republished the leaked files last week, and a new email has been dug up sent by Columbia Pictures' Andrew Gumpert, revealing that Craig and the film's director Sam Mendes aren't fans of the Sony Xperia Z4. “BEYOND the $$ factor, there is, as you may know, a CREATIVE factor whereby Sam and Daniel don't like the Sony phone for the film (the thinking, subjectively/objectively is that James Bond only uses the 'best,' and in their minds, the Sony phone is not the 'best'),” reads the message. In a bid to win Craig over, a separate email sent by George Leon says that Sony was willing to pay the star $5 million (£3.3m) to use the handset in the movie. A further $18 million (£12m) will be used on advertising and $5 million earmarked for production. But Sony is also facing competition from Samsung, which has also reportedly offered a fixed placement fee of $5 million and a total advertising spend of $50 million (£33m). These emails were sent a while back before production on Spectre kicked off, so the studio has probably decided now which tech it will go with. Will it be the Sony Xperia Z4 or Samsung Galaxy S6 Edge? 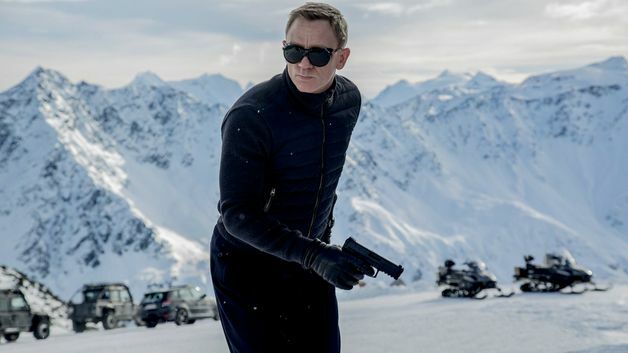 We'll have to wait until Spectre comes out on November 6 to find out. There's still no word on the Xperia Z4's release outside of Japan. However, the email refers to May and November as release dates for Sony handsets.